In ecology, one of the main interests is to understand species population dynamics and to describe its link with various environmental factors, such as habitat characteristics and climate. It is especially important to study the behaviour of animal species that can hosts pathogens, as they can be potential disease reservoirs and/or vectors. Pathogens of vector borne diseases can only be transmitted from an infected to a susceptible individual by a vector. Thus, vector ecology is a crucial factor influencing the transmission dynamics of vector borne diseases and their complexity. The formulation of models able to predict vector abundance are essential tools to implement intervention plans aiming to reduce the spread of vector-borne diseases (e.g. West Nile Virus). 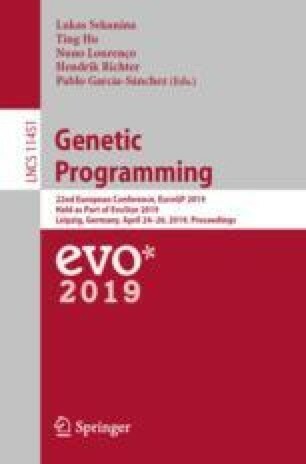 The goal of this paper is to explore the possible advantages in using Genetic Programming (GP) in the field of vector ecology. In this study, we present the application of GP to predict the distribution of Culex pipiens, a mosquito species vector of West Nile virus (WNV), in Piedmont, Italy. Our modelling approach took into consideration the ecological factors which affect mosquitoes abundance. Our results showed that GP was able to outperform a statistical model that was used to address the same problem in a previous work. Furthermore, GP performed an implicit feature selection, discovered automatically relationships among variables and produced fully explorable models.